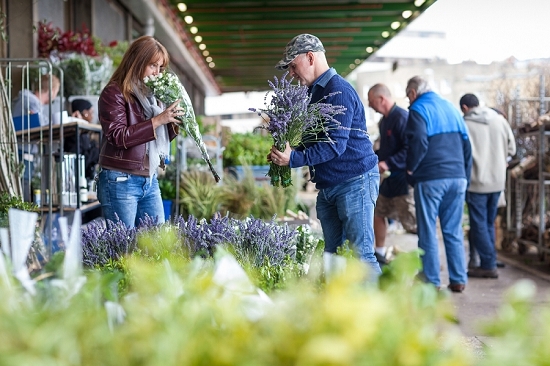 Our Flower Market customers have one colossal advantage over their peers, and that is Foliage Row. 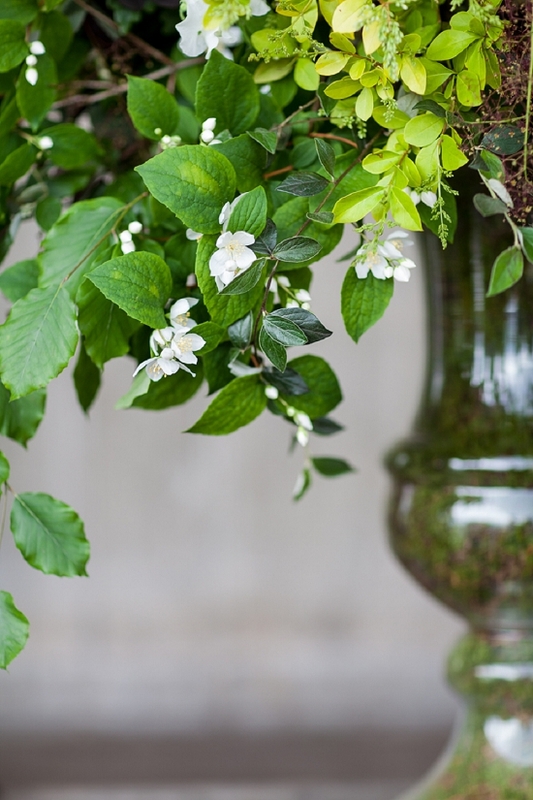 Throughout the seasons, Foliage Row's expert foliage wholesalers – GB Foliage and Porters Foliage – carry the best assortment of British-grown foliage available anywhere in the country. 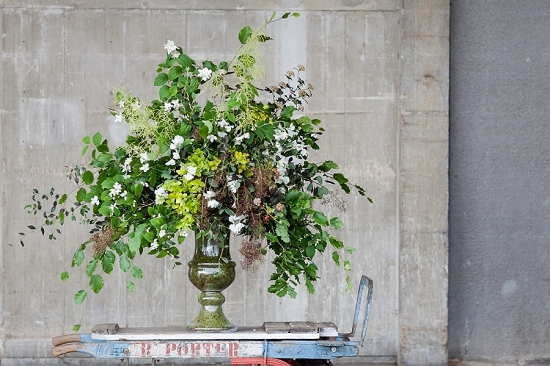 Little wonder that Euphoric Flowers practically begged to work with foliage for British Flowers Week. 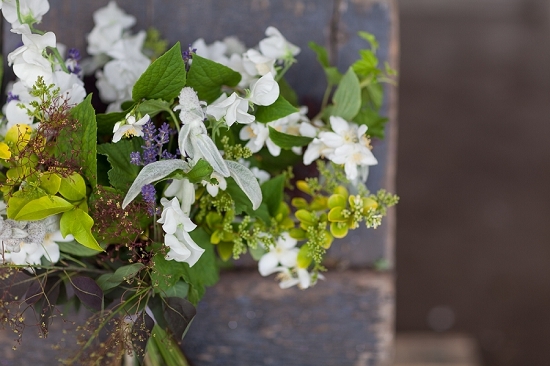 "Romantic English herbaceous is our natural style," says Victoria Taberer-Bond, who co-owns Euphoric Flowers with Simon Nickell. 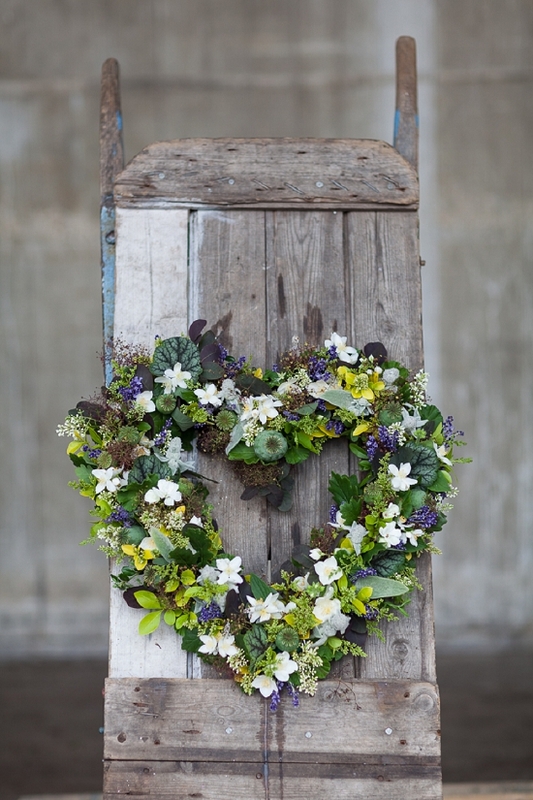 "What we have created for British Flowers Week is what we love to do. 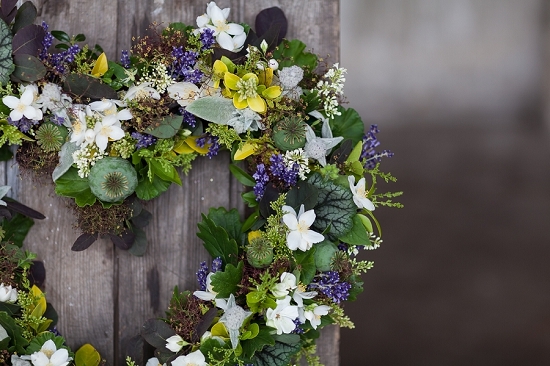 We are most at home when we're working with seasonal flowers and foliage." 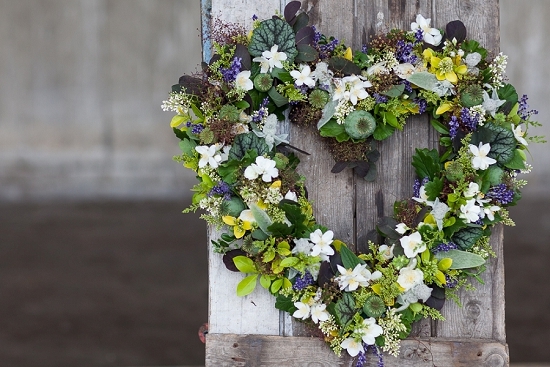 This heart overflows with cotinus, stachys byzantina, lavender, philadelphus, golden privet, poppy seed heads, buxus and the leaves of geranium, oak and heuchera. 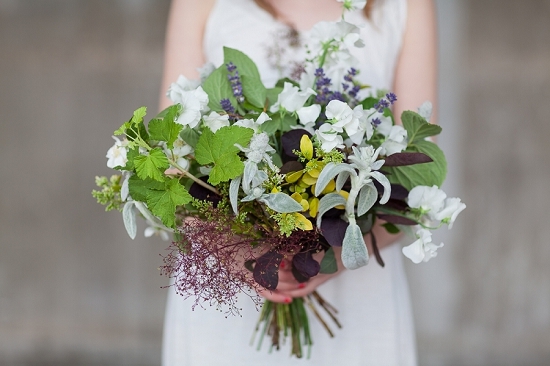 Well not quite… but this bouquet shows that there is more to greenery than green. 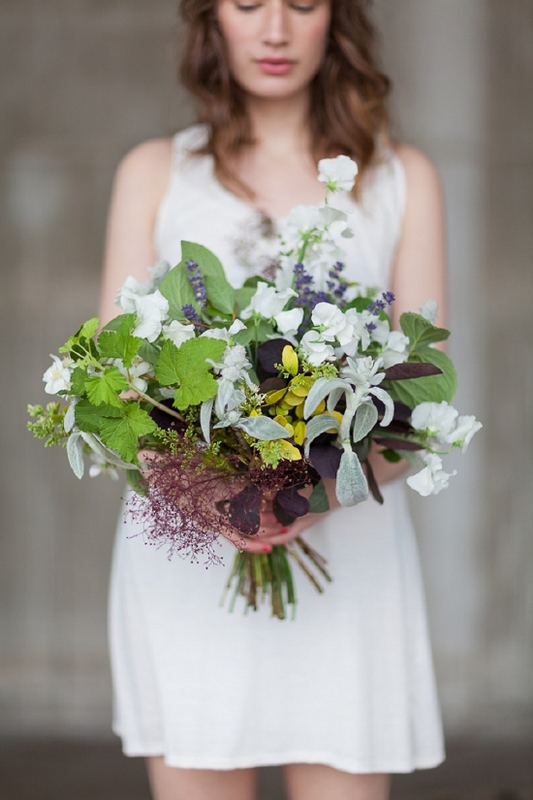 A seasonal bouquet of purple cotinus, silver stachys byzantine, golden privet, white flowering philadelphus, lime green ribes supplemented by white sweet peas and the blue of lavender. 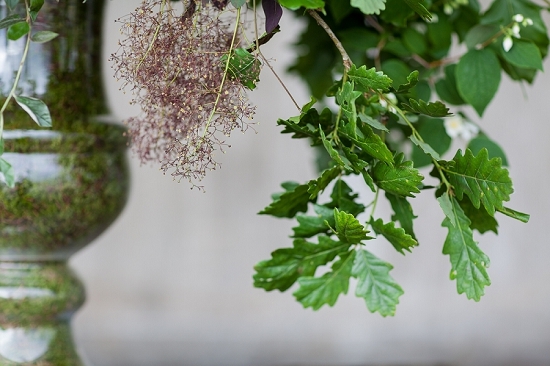 Arching branches of oak, eucaluptus, philadelphus, cotinus, flowering privet, aruncus and physocarpus cascade from a moss lined vase.